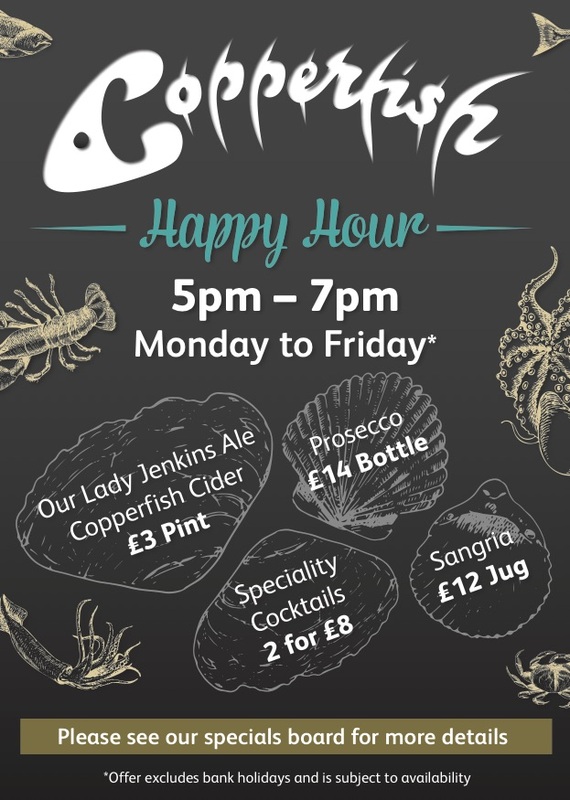 Introducing Happy Hour at Copperfish Bar. 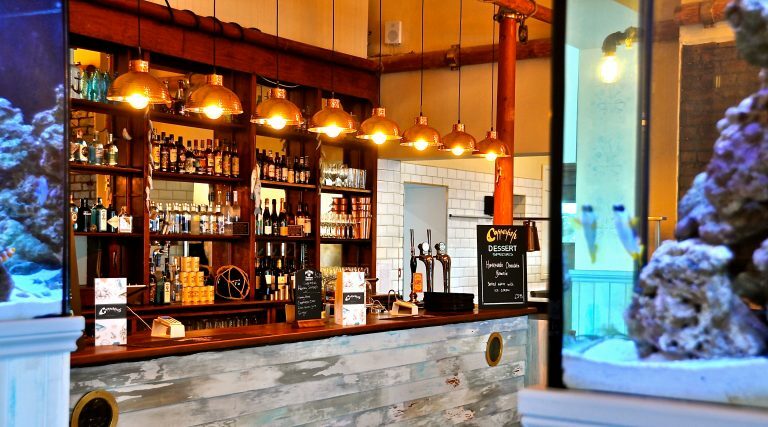 Enjoy a bottle of House Prosecco for only £14 or enjoy a pint of our House Ale or Cider for only £3! Or as its summer enjoy a Jug of Our Delicious Sangria in the Sun for only £12!! !